Perini Navi delivers 60m mega yacht PERSEUS^3 – Superyachts News, Luxury Yachts, Charter & Yachts for Sale. For the first time ever on a Perini, Perseus^3 superyacht is equipped with a carbon bowsprit. The larger downwind sailing areas gained by this feature together with her towering 75m carbon fiber mast and carbon fiber standing rigging allow Perseus^3 to set some of the largest downwind sails in the world. Composed by: 2 Gennakers, 1 Code Zero, 1 Reacher, 1 Blade, 1 Spinnaker Stay Sail, 1 working Jib and an imposing Main Sail for a combined area of 10.000 square meters. For the handling and control of this impressive sailing system, Perseus^3 yacht features the new generation of captive reel winches and furlers. The jib winches pull a maximum load of 30 tons and have a maximum line speed of 40 metres per minute. Variable speed electric motors and furlers, synchronized by the Perini Navi Automated Sail Handling System, dramatically improve furling and deploy speeds while reducing the tacking and jibing time by over 75% compared to vessels of the previous generation. 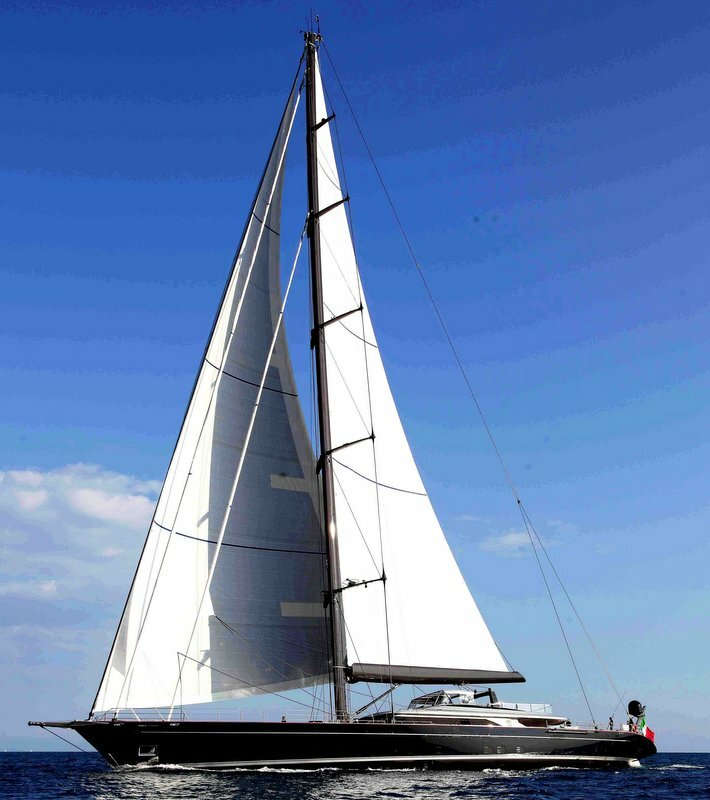 During the extensive sea trials, Perseus^3 yacht plainly demonstrated her sailing prowess reaching at 16.2 knots in 21 knot winds and beating at over 12 knots in similar winds at apparent wind angles in the high-30’s.